1) HIGH STRENGTH AND DURABILITY ALLOY ALUMINIUM MATERIAL USED. 3) GOOD QUALITY CLUTCH SPRING WITH GOOD PERFORMANCE CONSISTENCY AT HIGH RPM, LONG LASTING. 4) CONTROLS THE SPEED OF VEHICLE WITH A MANUAL TRANSMISSION. 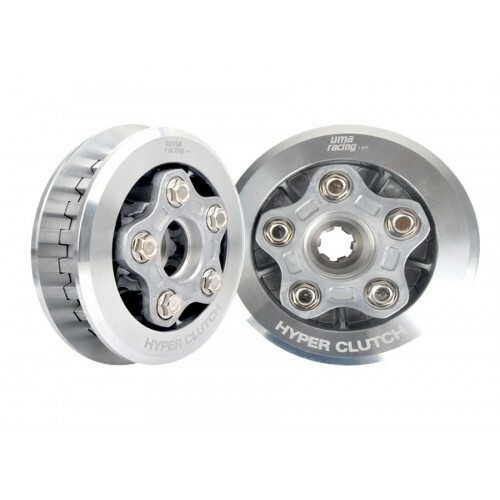 5) A CLUTCH PROVIDES TRANSFER OF TORQUE BETWEEN INPUT AND OUTPUT SHAFTS SPINNING AT DIFFERENT SPEEDS. 6) IN EXTREME CONDITION, CLUTCH CONTROL IS USED IN PERFORMANCE DRIVING, SUCH AS STARTING FROM A DEAD STOP WITH THE ENGINE PRODUCING MAXIMUM TORQUE AT HIGH RPM.